through ancient Kauri forests, conquer a dormant volcano, or take your horse for a frolic on a 90 mile beach horse riding tour. whilst taking you through places only the locals know. If you’re in Paihia or Kerikeri, horse riding is an absolute must. 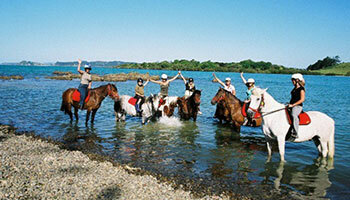 create magical memories from horse riding the bay of islands.